So wandering around the CBD on a slow work day (naughty I know, but that’s what technology is for! 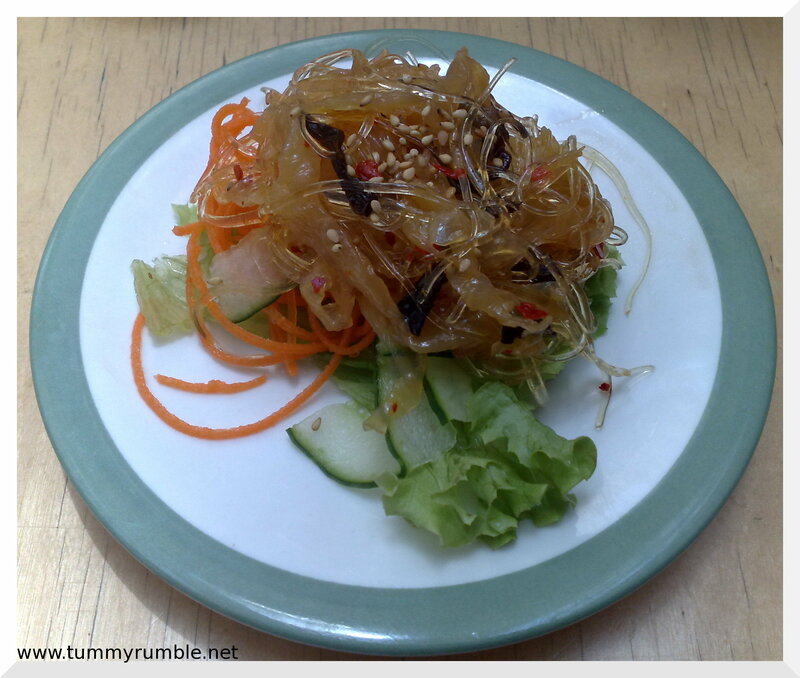 ), the Fashionator and I decided to do something a bit different for lunch. Having worked our way through Witchery Martin Place (which is closing down), we had worked up quite an appetite. Sick of the usual options, we decide on the foodcourt in the GPO. I haven’t been here for ages, and had completely forgotten the range of choices available! 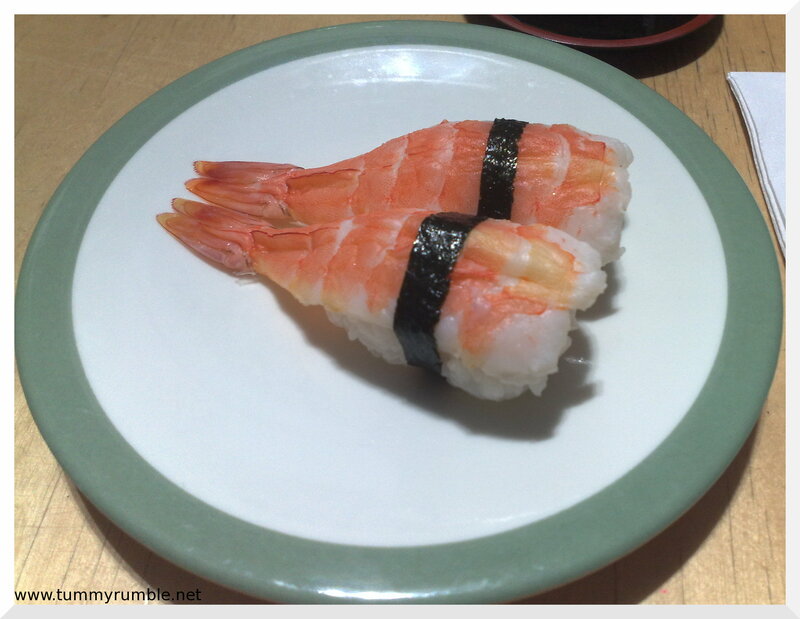 I haven’t had sushi train in an age, and this was a perfect reintroduction…though on the pricey side for sushi train, you are guaranteed the freshest “iki-jimi” killed fish, a method that is said to ensure the tastiest fish. 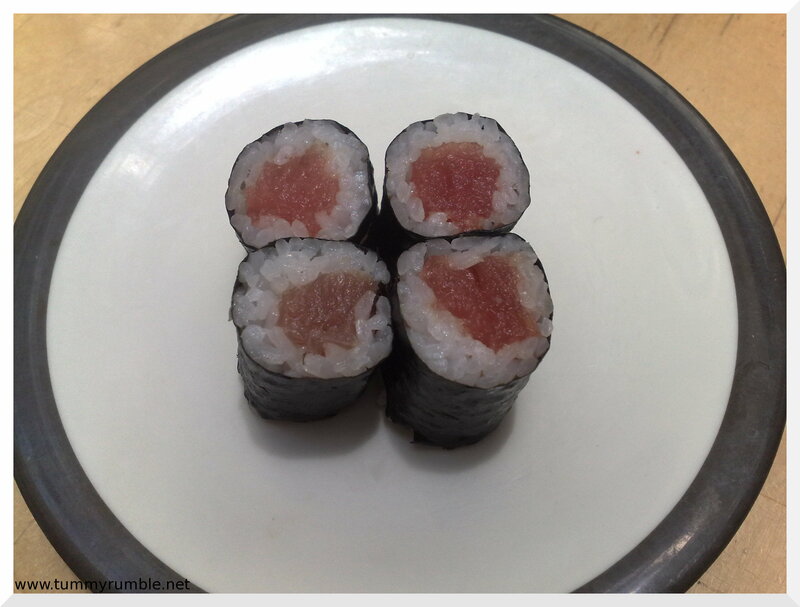 We both then dived on the Tuna (Thanks Helen) Salmon Sushimi…yum, rich and oh so buttery! 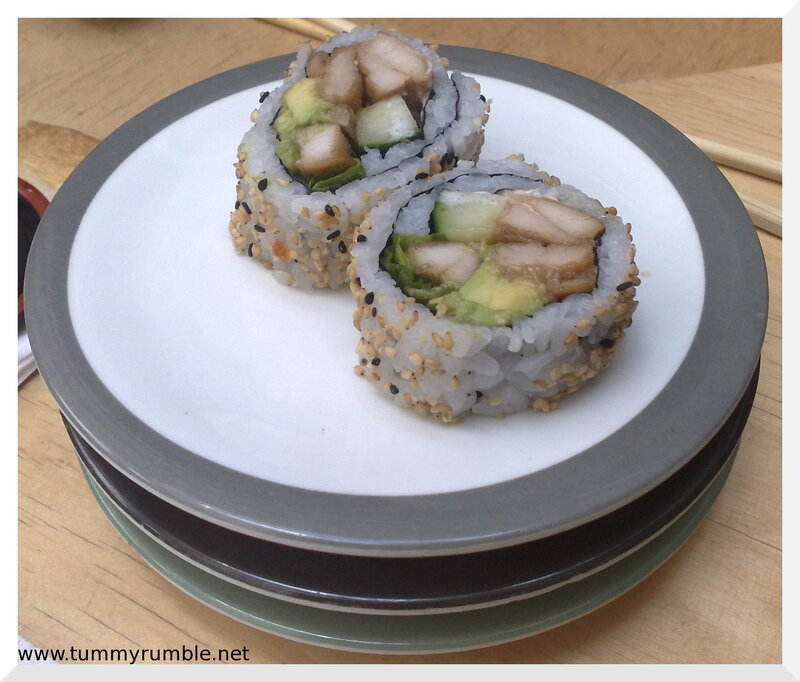 More tuna…teeny, tiny little rolls…yummy in my tummy! Can anyone tell me what the little green roe like substance is? 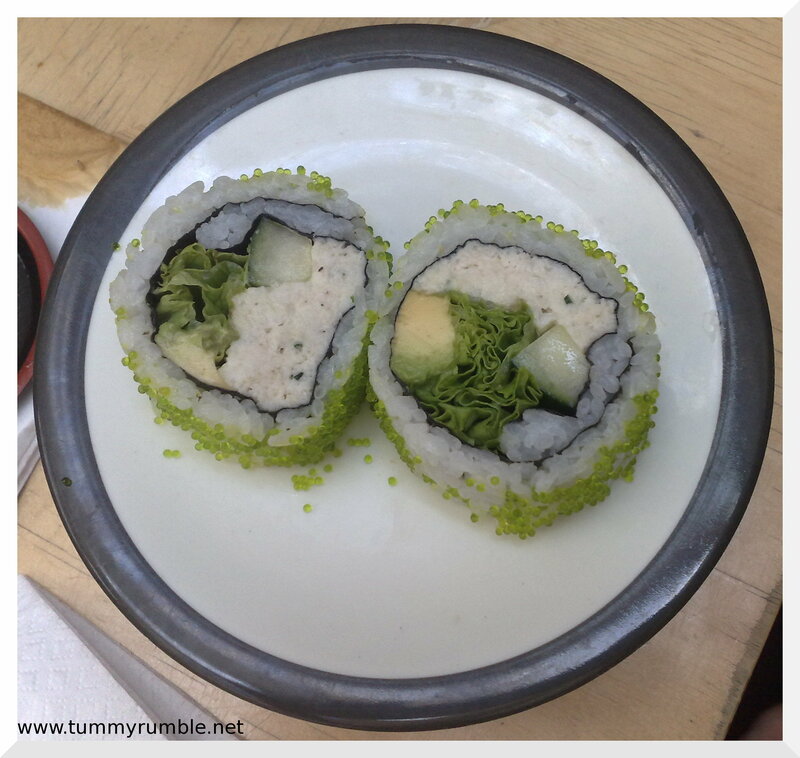 They were delightfully poppy in the mouth and most gorgeous! 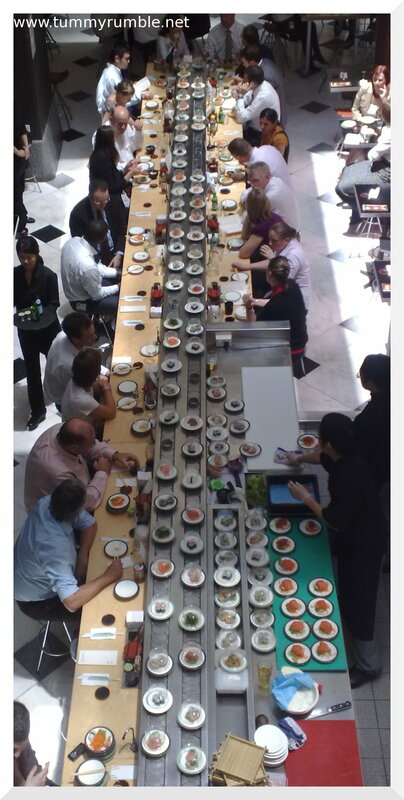 I love the top shot of everyone sitting down at the sushi train, and I think that’s salmon sashimi, not tuna? 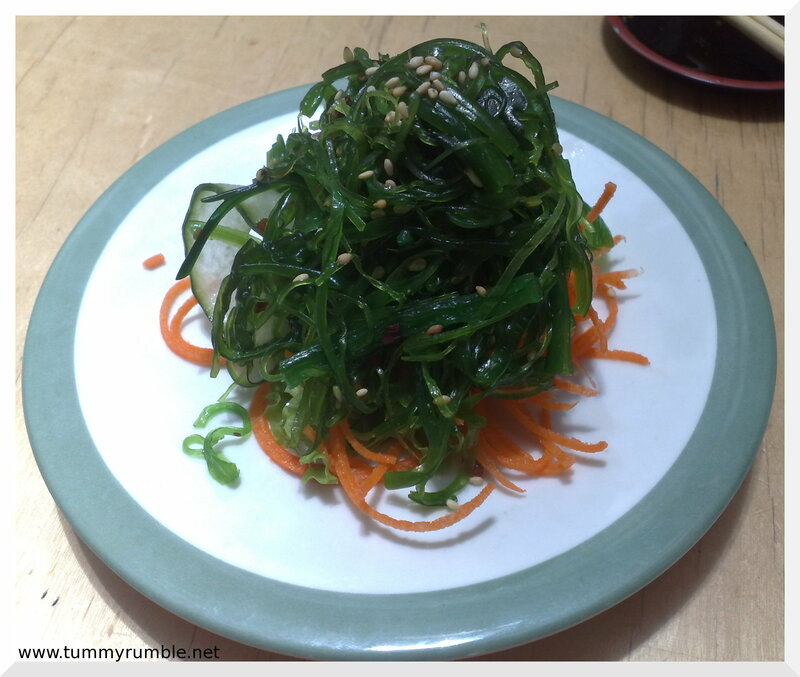 The green roe are tobiko, or flying fish roe, usually orange in colour but can also be in green. I love their texture too. So satisfying feeling them pop on the tongue! You know, I’ve worked in Wynyard for 2 years now and I didn’t even know GPO existed until recently! 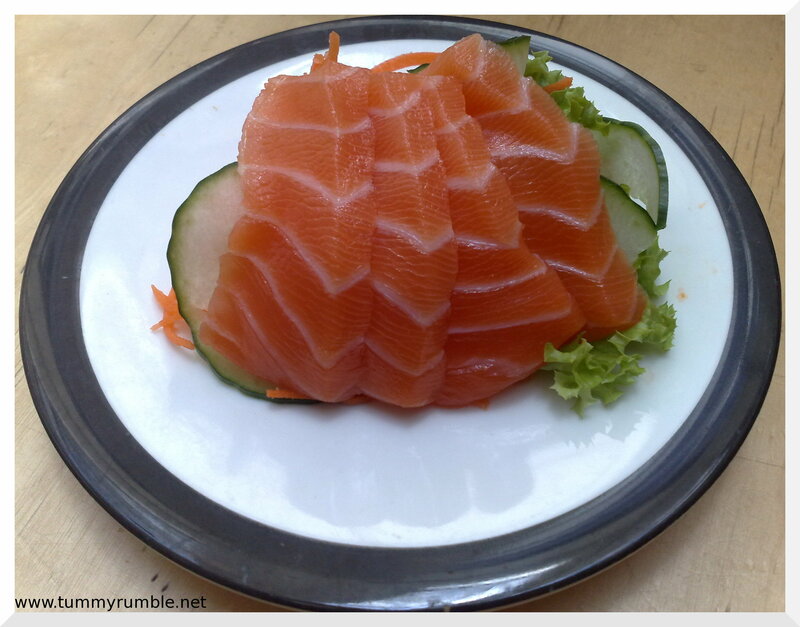 Salmon sashimi looks good. Reminds me of Matsuri on crown street.